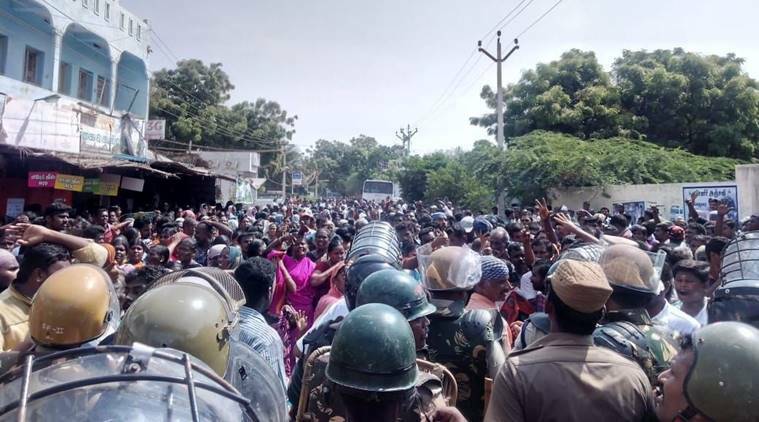 Coordination of Democratic Rights Organisation (CDRO) condemns strongly the cold blooded masscre of 11 and injuring more than 30 peaceful protesters against the Sterlite Smelter plant of Tuticorin, Tamil nadu. They have been protesting against the project for past several years over the pollution caused by the plant. The plant had earlier been ordered to be closed for violating Tamil nadu pollution control board norms but allowed to be reopened by National green tribunal. Supreme court had also ordered Sterlite to pay a fine of 100 crores for polluting the area. The villagers have started the protest on hearing that initial licence for 25 years is coming to an end and the plan for expansion of the project. The protests have been continuing for the last 3 months peacefully campaigning against the expansion. All appeals to government to close the plant went unheeded. They went on a protest with more than 50,000 thronging the roads asking for closure of the plant as recently as 14 the February. The proposed plan for peaceful protest before the plant premises was well known to the authorities much earlier.Sterlite has obtained High court order for protection few days earlier now. The Collector of Tuticorin, Venkatesh had issued prohibitory order through out the Tuticorin town from Monday evening to Wednesday morning. More than 2000 police personnel were brought on action for restraining the protestors. Preventive arrests were done on Monday itself. The peaceful protestors thronging the roads in thousands when blockaded by the strong force of police battalion were enraged over the restraint orders. 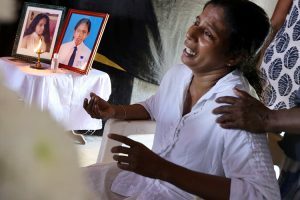 The firing resorted to by the police leading to death of around 11 villagers and injuring grievously more than 30 just in the name of restraint is totally a blatant use of force by the Tamil nadu government and police is brutal and fascist in nature. CDRO condemns the cold blooded masscre of people of Tuticorin to serve the interests of Corporates. The Collector of Tuticorin, Venkatesh and DGP T.K. Rajendran be suspended forthwith and charged for massacre and heinous crime on innocent villagers. 2) Tamil nadu Government should order immediate closure of the Sterlite plant. 3) The Tamil nadu government should immediately order compensation of 25 lakhs the deceased family and 10 lakhs for those injured. 4) Tamil nadu Government should provide job to the family member of the deceased and injured. Constituent Organisations: Association for Democratic Rights (AFDR, Punjab), Association for Protection of Democratic Rights (APDR, West Bengal); Asansol Civil Rights Association, West Bengal; Bandi Mukti Committee (West Bengal); Civil Liberties Committee (CLC, Andhra Pradesh); Civil Liberties Committee (CLC, Telangana); Committee for Protection of Democratic Rights (CPDR, Maharashtra); Committee for Protection of Democratic Rights (CPDR,Tamil Nadu); Coordination for Human Rights (COHR, Manipur); Manab Adhikar Sangram Samiti (MASS, Assam); Naga Peoples Movement for Human Rights (NPMHR); Peoples’ Committee for Human Rights (PCHR, Jammu and Kashmir); Peoples Democratic Forum (PDF, Karnataka); Jharkhand Council for Democratic Rights (JCDR, Jharkhand); Peoples Union For Democratic Rights (PUDR, Delhi); Peoples Union for Civil Rights (PUCR, Haryana), Campaign for Peace & Democracy in Manipur (CPDM), Delhi; Janhastakshep(Delhi).